Did you know tomorrow is National Quilt Day? 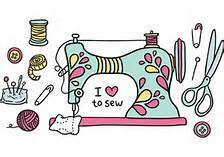 If you are like us we know you love to quilt and sew! In honor of this stop in for 25% off your purchase! Can't stop by tomorrow - no worries shop online at www.sewblessed.us and use code QUILTHAPPY to save! Some exclusions apply: BOM, BLOCK magazine & Shop Hop related fabrics, kits, bundles & patterns.